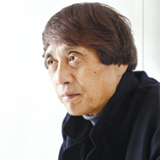 A self-taught architect, established his own studio Tadao Ando Architect & Associates in 1969. His major works include Church of Light, Chichu Art Museum, Omote Sando Hills etc. He also has received numerous awards such as Architectural Institute of Japan Annual Prize, Alvar Aalto Medal, Pritzker Architecture Prize, UIA Gold Medal and many others. In 2005, he received Legion of Honour (Ordre national de la Légion d'honneur) from France and Order of Culture from Japan. Emeritus Professor at University of Tokyo. Publication includes “Successive Defeats,” “an Architect, Tadao Ando,” and “Tadao Ando _ Creating jobs,” etc. The main theme in education circle of Japan is how to grow a talent of which would be possible to do well in international stage. How does Tadao Ando, an architect well know world-wide, think about the education of children who will be carrying on the next generation. We asked what kinds of abilities are essential to flourish in the international stages. 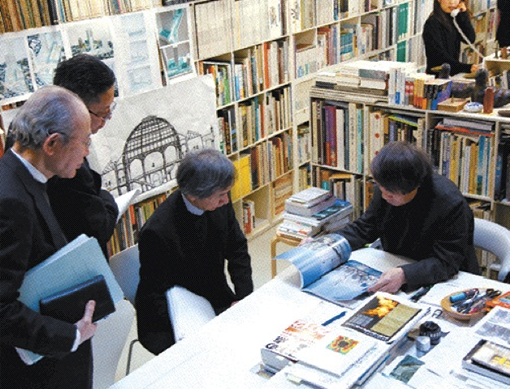 Mr. Tadao Ando, who became a world known architect with his own creative style, criticize the Japanese uniformed education which would not allow kids who are talented to skip further. And how does Mr. Ando, who works with overseas clients and construction companies, think that the talent and ability needed to do well in today’s society globally. “The happiness of life is found when overcoming the obstacles. The creativity will be exerted for the first time under the tense restricted condition. Our life today became very comfortable and convenient, children have no place to demonstrate or even grow their competitive spirit and creativity. Children must play more in the nature, and experience having arguments with friends etc. And the young people should actively go out to see the foreign countries more. If they go to the other countries, they will notice how complacent they were living in Japan. It is important to smell the air of those places you visit and feel it with all your senses rather than just looking it up on the internet in a few seconds. Mr. Ando, from his own experience, says it is very good to traveling world alone to build one’s sensibility. Today, this experience made Mr. Ando to work beyond border and also be active in projects which goes beyond as an architect such as regenerating of nature, education aid to the children of North East coast Japan. While the globalization progresses, a competitiveness and international status of Japan keeps on falling. The inward oriented young people of today are a big concern as well. 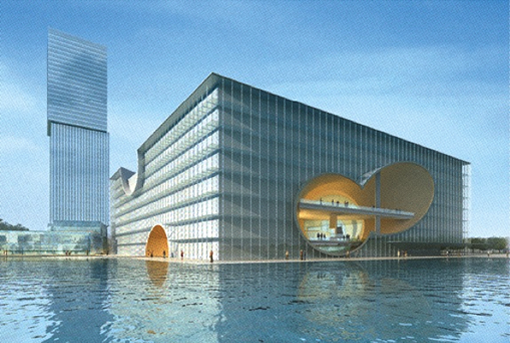 How would today’s Japan look from world-renown architect like Mr. Tadao Ando. We asked his thoughts on how Japan should face the world from now on for the future. Mr. Ando, now engaged with over 20 projects in China, feels strongly that way every time he engage with spirited Asian people of different country. With the future of Japan in mind, for those young introverted Japanese, Mr. Ando sends his young new employees to the oversea business trips as much as he can. If you look back at the history, Japanese people were not always this introverted. Mr. Ando thinks after the disaster in North-East coast of Japan, this country needs another miracle again for the 3rd time. In order to have this desperately needed miracle, how should Japan face the world for the future? Ando himself and many other special people created this foundation to support education for children who have lost their parents in the Great Eastern Earthquake. Its aim is to collect 3.8bilion yen in donations in 10years through continuing support from annual donation of 10,000yen or more in increment of 10,000yen, from each groups and individual donors.The founding member includes conductor, Seiji Ozawa, Novel Prize winner Masatoshi Koshiba, also Ryoji Noyori, and the chairman of Fast Retailing (UniQlo), Tadashi Yanai.